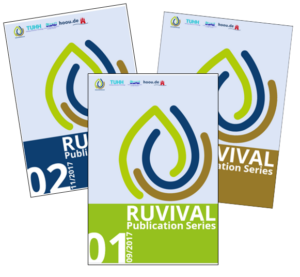 Many people are involved in developing RUVIVAL learning materials. This is both a challenging and rewarding process. On the one hand, it requires thorough planning and elaborate coordination, but on the other, unique perspectives, linkages and expertise emerge from this exchange. We strongly feel that this is a story that needs to be told alongside the sustainable rural development content you see on our website as the finished product. This is why we are introducing a whole new Making of RUVIVAL section. Here you will be able to read more about how different RUVIVAL elements are created, about the technical and pedagogic aspects, as well as about the experiences of those taking part.